Leroy E. Crawford, 84, Mars Hill, died Sept. 28, 2018, in Bangor with his family at his side. 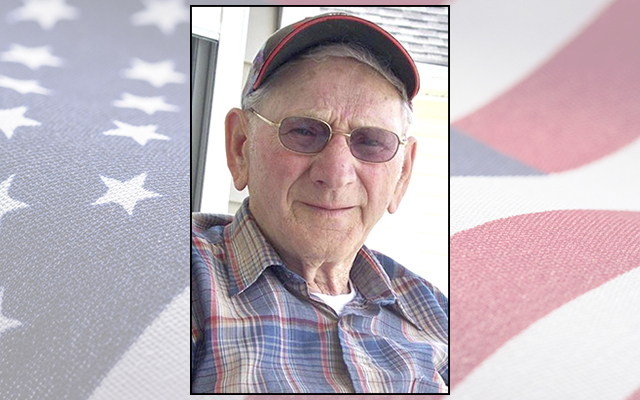 MARS HILL, Maine – Leroy E. Crawford, 84, Mars Hill, died Sept. 28, 2018, in Bangor with his family at his side. He was born August 3, 1934, in Houlton, the son of Elden and Opal (Niles) Crawford. He served in the U. S. Air Force, serving in Korea. He enjoyed hunting, fishing, watching NASCAR, westerns and wrestling, but especially spending time with his family. He is survived by his wife of 55 years, Gloria (Hoyt) Crawford of Mars Hill; three children, Catherine Pelkey of Myrtle Beach, SC , Christi and husband, Michael Botting of Columbia, SC, and Roy and wife, Erica Crawford of Ludlow; four grandchildren, Jessica Pelkey, Leroy Otis, Candace Otis, and Savanah London; seven great-grand-children; two brothers, Roger Crawford and Robert and wife, Lois Crawford. He was predeceased by his parents and two sisters, Marlene Crawford and Marilyn Tackett. A graveside funeral service will be held 1 p.m. Fri. Oct. 5th, at the Kings Grove Cemetery, Mars Hill, with the Rev. Mark Carter and Rev.Wesley Faloon officiating. Online condolences may be expressed at www.bowersfuneral.com.